It’s described as “one of the world’s greatest cathedrals” and when you visit, it certainly has the wow factor! Building began on the current church in 1220 but was not declared complete until 1472. There are lots of features to look out for. The stained glass windows are particularly impressive, as are the carvings on the choir screen. We also enjoyed sitting in the octagonal chapter house. For an extra fee you can take a tower tour up the central tower for great views of York. This is an extract from our free York City Guide. We took one of the many guided tours that are included with your admission ticket and we’d recommend you do the same. Without the tour, you just get to wander around and since little is labelled, you’ll probably feel the admission price is a bit of a rip-off. 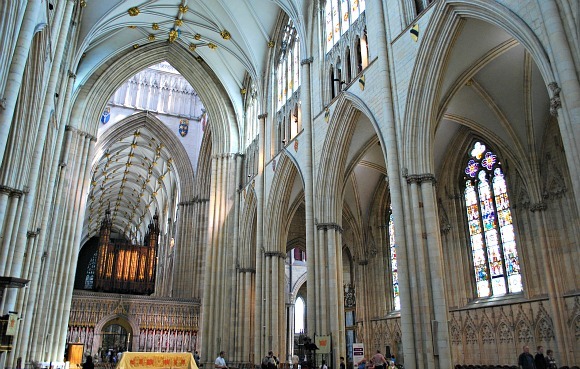 However, with the tour, you get a brilliant insight into the history of the Minster, its notable features and how it continues to be a busy working church today. The guided tours are available at 10am, 11am, 12pm, 1pm, 2pm and 3pm and last approximately one hour. If you haven’t got time for the tour, don’t miss the Chapter House, at the rear of the building which was completed in 1290. If you want a terrific view of York, we’d recommend the Tower Tours too. These are at set times, roughly every 45 minutes and apart from the view, you’ll see some of the intricate stonework of the Minster close up. 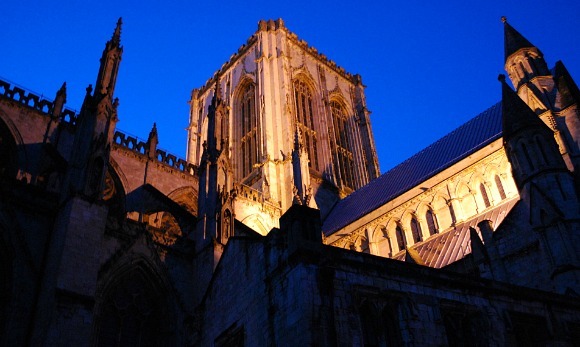 York Minster is open Monday to Saturday from 9am (9.30am November- March) to 5pm and on Sunday from 12 noon to 5.00pm. There is no sightseeing on Good Friday and Easter Sunday or on Sundays before 12.00 noon. 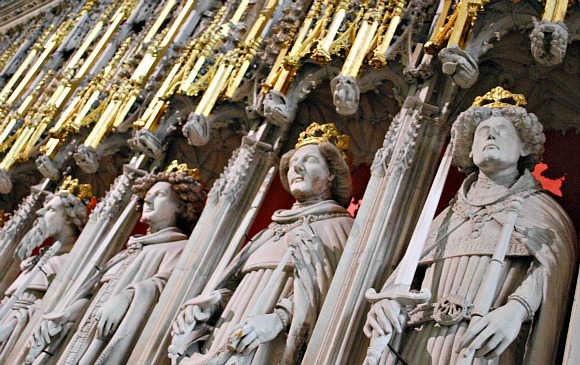 There are also occasions when York Minster is open for services only. Adult admission to the Minster is £9 but if you want to climb the central tower a combined ticket is available at £14 (2012 prices). Children under 16 are free as part of a family group. Free entry is allowed to the Minster for services. Also, if you just want to have a quick look inside, you can enter through the ticket doors and inside there is a small area before the ticket desk where you can take in the expanse of the interior. If you then decide you don’t want to buy a ticket, you can leave through the revolving door.